Toulson Plumbing & Heating are based in Durham and offer installations, services and repairs of gas boilers. 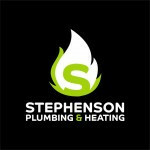 Plumbing & heating engineers covering the teesside and surrounding area. Small family run business. Excellent customer service record. All work from recommendations. Baxi Vaillant and Worcetser recommended. Hi boiler was working fine last night but now I have so central heating but the hot water works fine. No fault codes. Current Fuel Used: Gas. No boiler is in the property. Wants the boiler in the kitchen. Replace ASAP. Contact anytime. Current fuel type: Gas. Current Boiler: Baxi . 20 years old. Working. Located in the Garage and Keep in same place. Flue: Wall. Replace ASAP. Contact anytime. Current Fuel: Gas Mains Baxi Age 9 yrs old. located in the kitchen. Flue position: wall. Timescale within 3 months. Contact anytime.